"A small town boy who took over the world of numbers!" In 1903, in the small town of Kumbakonam, Tamil Nadu, a 16 year old boy borrowed a book from a friend titled A Synopsis of Elementary Results in Pure and Applied Mathematics. It was a collection of 5000 theorems. He absorbed the book in such detail, that a year later he had independently developed and investigated the Bernoulli numbers and had calculated the Euler-Mascheroni constant up to 15 decimal places. This genius of a lad went on to become the mathematical genius that India is so proud of. Srinivasa Ramanujan Iyengar. Life was not a bed of roses for this guru of numbers. From suffering illness to failing in exams (yes, his obsession with math didn't give him time to look at other subjects), living in unemployment to hovering on the brink of starvation... Ramanujan had seen it all. Then he was discovered. His talent shone and he headed to Cambridge where his collaboration with English Mathematician G.H Hardy became a famous one. 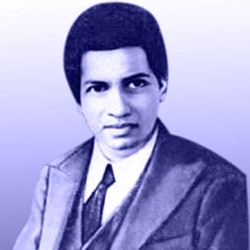 In the peak of his career, Ramanujan's health deteriorated and at the young age of 32 he passed away. Till today, his home state of Tamil Nadu celebrates 22 December (his birthday) as 'State IT Day' and a stamp picturing Ramanujan was released by the Government of Indian in 1962 honoring his 75th birth anniversary. IIT Madras also celebrates his birthday by organizing a National Symposium on Mathematical Methods and Applications by inviting eminent Indian and foreign scholars. In 2011, December 22nd was christened National Mathematics Day by then Prime Minister Dr Manmohan Singh. Almost a century after Ramanujan discoveries, his outstanding contribution to mathematical analysis, number theory, infinite series and continued fractions is still respected in the number fraternity.  This is a SoulPrints tribute to Srinivasa Ramanujan Iyengar.